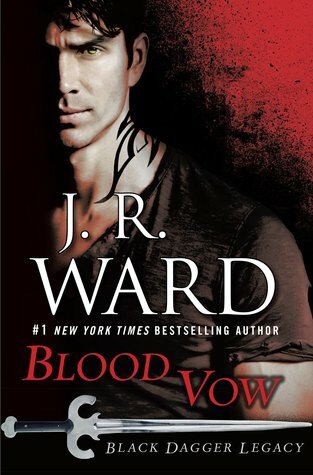 #1 New York Times bestselling author J. R. Ward returns as her thrilling, original spin-off series set in the world of the Black Dagger Brotherhood continues! When a brooding vampire warrior-in-training teams up with a quick-witted aristocrat to solve a deadly mystery, the only thing more dangerous than their mission is their undeniable attraction. Trainees at the Black Dag #1 New York Times bestselling author J. R. Ward returns as her thrilling, original spin-off series set in the world of the Black Dagger Brotherhood continues! When a brooding vampire warrior-in-training teams up with a quick-witted aristocrat to solve a deadly mystery, the only thing more dangerous than their mission is their undeniable attraction. Trainees at the Black Dagger Brotherhood’s training center continue to prepare for the war against the Lessening Society, but fighting is the last thing on Axe’s mind. Still plagued with the guilt of his father’s death, the brooding loner finds himself battling an unlikely attraction to Peyton’s enticing, aristocratic cousin, Elise. Elise feels it, too – especially when the two are thrown together in unusual circumstances, and she must decide whether she can trust Axe as she uncovers the mystery surrounding her sister’s death. Meanwhile, Mary and Rhage are fostering Bitty, a young pretrans orphan, and hope to adopt her… until the appearance of a young male claiming to be Bitty’s blooded uncle threatens to tear the new family apart.